Are you tired of using technology to play with your children, but board games aren’t fun enough for them? I have a perfect game for you and your entire family. Tiki Toss is a great game that is very simple to learn, but hard to master. It comes with all of the hardware needed and takes no time at all to set up. You can play it indoors or outdoors and choose to do it alone or with everyone! This game is so much fun and challenging at the same time. Remember the carnival games that you through a ring onto a hook? That is exactly what this is but I promise you it isn’t as easy as it sounds. As you play, you can decide to make it interesting by adding another dimension to it. I was thinking you could play “horse”, like in basketball. It would fit nicely with this gameplay and it could make it more fun (if that’s possible). The Tiki Toss game board is so beautifully made! It is 100% bamboo wood from China and is so durable. Believe it or not, it’s even sustainable. That is so important when using any kind of wood. 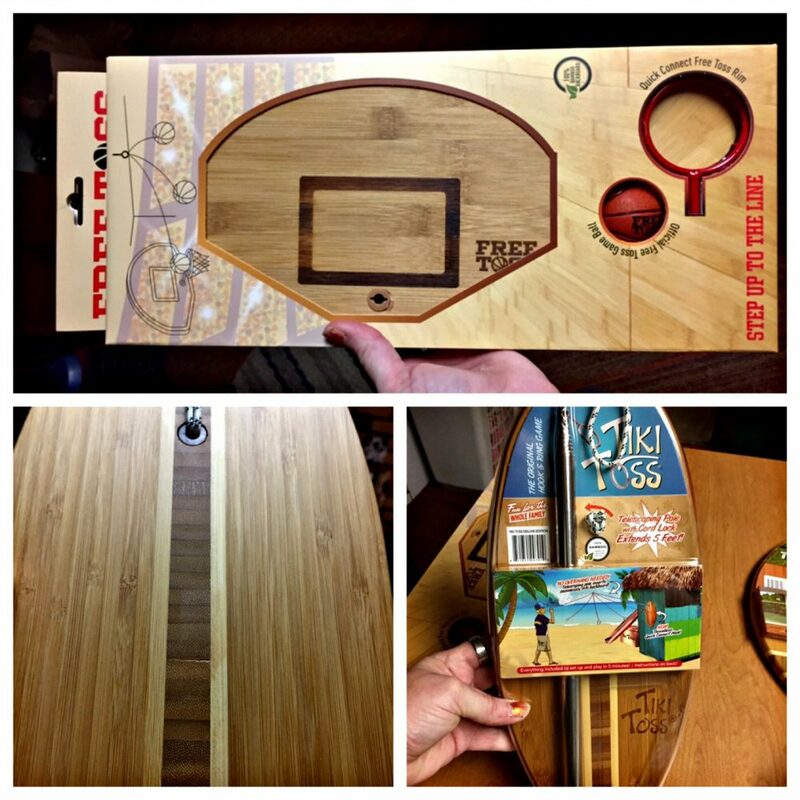 Tiki Toss comes in a cool surf edition (cool dude!) or a football edition (hut!). As you can probably imagine, the surf game is an actual surfboard and the football is, well, a football. That isn’t all that they have to offer though. For the golf lover, they have Tee Toss, which is the same game but you get the ball into a tee. Do you have a basketball lover? They have you covered! Free Toss is literally a basketball game. Simply get the ball into the hoop, but good luck with that! It will definitely take some talent. These wonderful games have a way of bonding you and your family. While playing, you won’t be looking at a screen. You will actually be talking and laughing with one another. This is the perfect thing to use at parties, a dorm room, camping at a cabin, or anywhere you want to take it. It is also for anyone from kids up to seniors. Everyone loves Tiki Toss!